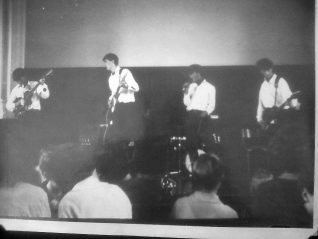 Just a few photos of our band when we were schoolboys at Brighton Hove & Sussex Grammar School. 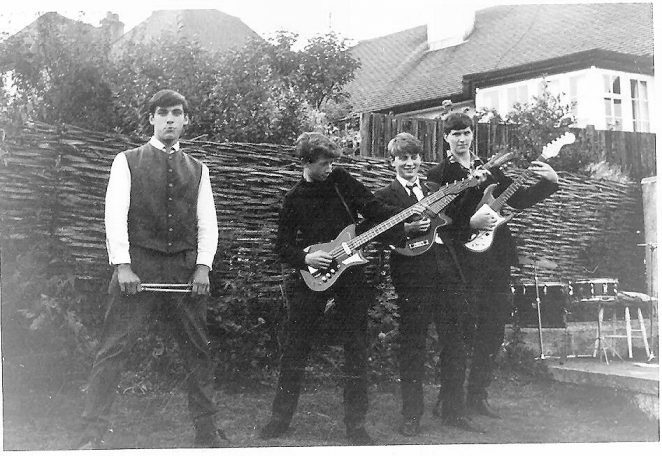 Original members were; Alan Swindells (deceased), Graham Hill, Bob Beard, Pete Eardley and Peter Mason. Do you remember the Konchords? Where did you see them play? If you can share your memories with us, please leave a comment below. Click on an image to open a large version in a new window. Great piece. 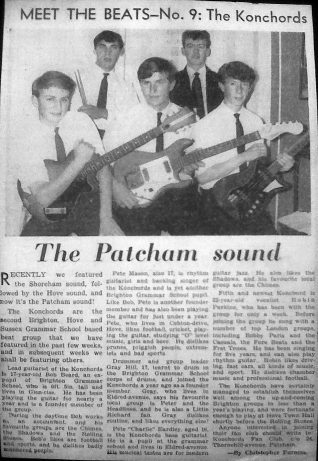 I was a pupil at BHSGS in 1964 and would have been a year – or possibly two – behind those guys if they were 17-year-olds. 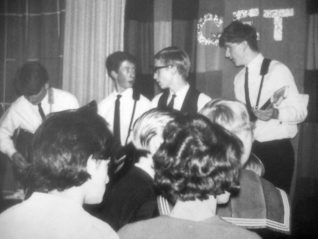 There was also a beat group of lads in my year; I never knew the band name and can’t remember the names of any of the players apart from Van Der Westhuizen and possibly Barry James. I do recall that the Headmaster, Harry Brogden, hated popular music with am almost psychotic vehemence and once publicly slated the above-mentioned lads publicly for playing something he referred to sarcastically as “music”. It certainly never featured in any of our school concerts. What a blast from the past! I doubt you remember me as one of your girlfriends back then! (Surname was Marshall) I loved your music and watched you all play at many places. Do you still play? I’m still in touch with friends from that time – Linda Bradshaw and Christine Holmes. Do the names ring a bell? Love the pics – bring back great memories. Hi = Sorting through some records I’ve acquired over the years, and found a vinyl single on a Modern Music Centre Label of Oroleo Bay / Get Together by the Konchords – looks to be self-recorded. Same band ? Happy to return it to its owner if so !